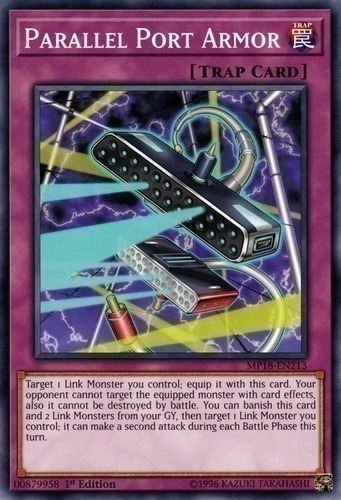 Target 1 Link Monster you control; equip it with this card. Your opponent cannot target the equipped monster with card effects, also it cannot be destroyed by battle. You can banish this card and 2 Link Monsters from your GY, then target 1 Link Monster you control; it can make a second attack during each Battle Phase this turn.